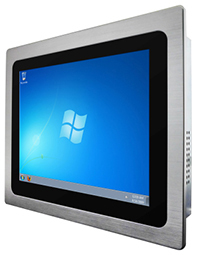 Winmate's flat Panel PC series is designed to bring computing to all sorts of places where a desktop or notebook computer is not feasible. Our Panels thrive in places like distribution and control centers, terminals or other industrial settings with harsh and demanding environments that require 24/7 uptime. 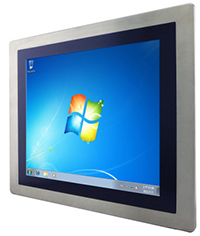 Our flat panel mountable series has ELO Resistive touch screens with an outstanding lifetime of 35 million touches, if Resistive touch is not suitable for your certain application, Winmate products can also be equipped with Projected Capacitive touch screens. 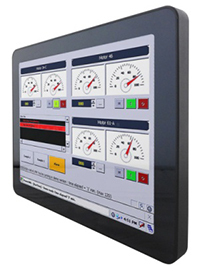 Bottom line, Winmate's chassis or Flat mount panel series offer a wide variety of screen sizes and touch screen technologies. 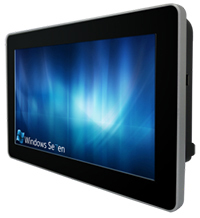 These are offered with an Intel Celeron Bay Trail N2930 1.83GHz or Intel Atom Dual Core N2600 1.6 GHz processor. Winmate's flat panel mount product series are easy to clean and eliminate dust or debris build up around the outer edge of the device.